June 26, 2008 – BCW: Kid Fite defeated Noam Dar. July 18, 2008 – PBW: BT Gunn defeated Noam Dar. October 17, 2008 – BCW: Noam Dar defeated Jordan Devlin. January 30, 2009 – PBW: Noam Dar defeated The Highlander. February 27, 2009 – BCW: Falcon defeated Noam Dar to retain the Openweight title. February 28, 2009 – BCW: Scott Renwick defeated Noam Dar. April 24, 2009 – BCW: Bubblegum defeated Noam Dar. May 23, 2009 – PBW: BT Gunn defeated Noam Dar. May 31, 2009 – W3L: The Highlander defeated Noam Dar in the 1st round. June 13, 2009 – W3L: The Disco Biscuits (Freddie Da Funk and Lil Magic M) defeated Bozidar Branimeer and Noam Dar. June 26, 2009 – BCW: Noam Dar defeated The Highlander. August 22, 2009 – DPW: Team England (Nathan Irwin, Robbie X and Sam Bailey) defeated Team Scotland (Jamie Feerick, Noam Dar and TJ Rage). September 18, 2009 – PBW: Liam Thomson defeated Chris Rampage, Danny McLean and Noam Dar in a 4-way match. September 25, 2009 – BCW: Lionheart defeated Noam Dar. October 17, 2009 – PBW: Bubblegum defeated Bingo Ballance, BT Gunn, Falcon, Joey Hayes and Noam Dar in a 6-way match. October 24, 2009 – BCW: The Highlander defeated Noam Dar by disqualification. October 30, 2009 – Dragon Gate: Noam Dar defeated Colin McKay. October 31, 2009 – SWA: Noam Dar defeated Sean South. December 4, 2009 – PBW: Noam Dar defeated Mark Haskins. December 5, 2009 – BCW: Noam Dar defeated Lionheart. February 5, 2010 – SSW: Robbie X defeated Noam Dar. February 6, 2010 – PBW: Noam Dar defeated J Hazard. February 20, 2010 – PBW: El Ligero defeated Noam Dar. February 26, 2010 – BCW: Darkside defeated Noam Dar to retain the heavyweight title. February 28, 2010 – ICW: Noam Dar defeated The Highlander. March 6, 2010 – SPW: Darkside defeated Noam Dar to retain the British heavyweight title. March 13, 2010 – DPW: Team Sykes (Kid Fite, Liam Thomson, Noam Dar and Sykes) defeated Team Ligero (Danny Hope, El Ligero, Joey Hayes and Robbie X). March 14, 2010 – PW101: Negras Ligero defeated Noam Dar, Robbie X and T-Bone in a 4-way match. March 26, 2010 – BCW: BT Gunn defeated Noam Dar. April 17, 2010 – ICW: Brad Valentino defeated Chris Rampage and Noam Dar in a 3-way match. April 24, 2010 – UEWA: Axel Dieter Jr., Michael Knight and Red Devil defeated Kid Fite, Noam Dar and Robbie Dynamite. May 1, 2010 – PBW: Liam Thomson and Noam Dar defeated High Energy (CJ Hunter and Johnny Starr) to win the tag titles. May 21, 2010 – PBW: Noam Dar defeated Anthony Christie. May 28, 2010 – BCW: Noam Dar defeated Stevie Xavier. May 29, 2010 – 1PW: Martin Kirby defeated Andy Baker, Danny Hope, El Ligero, Joey Hayes and Noam Dar in a 6-way match to become #1 contender for the Openweight title. June 5, 2010 – ICW: Noam Dar defeated Johnny Starr. June 25, 2010 – BCW: Andy Wild defeated CJ Banks and Noam Dar in a 3-way match. June 26, 2010 – BCW: Andy Wild defeated Noam Dar. July 3, 2010 – PBW: Noam Dar defeated Andy Anderson. September 3, 2010 – PBW: The Final Cut (Liam Thomson and Noam Dar) defeated Chris Rampage and Davey Blaze to retain the tag titles. September 4, 2010 – ICW: Jack Jester defeated Noam Dar and Rob Cage in a handicap match. September 24, 2010 – BCW: Noam Dar defeated Wolfgang. September 25, 2010 – NEWS: AJ Anderson and Andy Swan defeated BT Gunn and Noam Dar. October 8, 2010 – PBW: The Final Cut (Liam Thomson and Noam Dar) defeated BT Gunn and Jamie Feerick. October 9, 2010 – NGW: Matt Myers defeated Noam Dar. October 16, 2010 – PBW: The Final Cut (Liam Thomson and Noam Dar) defeated High Energy (CJ Hunter and Johnny Starr) to retain the tag titles. October 23, 2010 – BCW: Noam Dar defeated Andy Wild. November 20, 2010 – WrestleZone: J Hazard defeated Noam Dar. November 21, 2010 – ICW: Noam Dar defeated Andy Wild, Falcon and Rob Cage in a 4-way elimination match to win the tournament and vacant Zero-G title. November 27, 2010 – PBW: The Final Cut (Liam Thomson and Noam Dar) defeated Andy Smith and Micky Mann to retain the tag titles. December 11, 2010 – BCW: Liam Thomson defeated Andy Wild, Mark Andrews and Noam Dar in a 4-way match. January 29, 2011 – PBW: The Final Cut (Liam Thomson and Noam Dar) defeated Jamie Feerick and Johnny Starr to retain the tag titles. February 6, 2011 – ICW: The New Age Kliq (BT Gunn and Chris Renfrew) defeated Noam Dar and Rob Cage. February 19, 2011 – PBW: The Final Cut (Liam Thomson and Noam Dar) defeated Andy Anderson and Joe Coffey to retain the tag titles. February 25, 2011 – BCW: BT Gunn defeated Noam Dar to retain the Openweight title. February 26, 2011 – 1PW: Martin Kirby defeated Noam Dar in the 1st round. March 26, 2011 – PBW: Noam Dar defeated Johnny Starr. March 27, 2011 – BCW: BT Gunn defeated Andy Wild and Noam Dar in a 3-way match to retain the Openweight title. April 2, 2011 – PBW: The Final Cut (Liam Thomson and Noam Dar) defeated Davey Miller and Wolfgang to retain the tag team titles. April 3, 2011 – ICW: Noam Dar defeated Andy Anderson, Christopher, Dickie Divers, Joe Coffey and Johnny Starr in a 6-way match to retain the Zero-G title. April 9, 2011 – GPW: Danny Hope, Mikey Whiplash, Xander Cooper and Zack Diamond defeated Bruce Sheila, Jack Gallagher, Noam Dar and William Gaylord in a tag team elimination match. April 10, 2011 – FutureShock: Team Ray (Raynaldo, Sam Bailey, Xander Cooper and Zack Gibson) defeated Team Rayne (Danny Hope, Dave Rayne, Joey Hayes and Noam Dar) in a tag team elimination match. April 23, 2011 – PBW: Lionheart and Wolfgang defeated The Final Cut (Liam Thomson and Noam Dar) to win the tag team titles. May 5, 2011 – SWA: The Better Half (Jackie Polo and Mark Anthony) defeated The Final Cut (Liam Thomson and Noam Dar). May 27, 2011 – 1PW: Noam Dar defeated Joey Hayes, Kris Travis and Marty Scurll in a 4-way match to win the vacant Openweight title. May 28, 2011 – 1PW: Noam Dar defeated Bad Bones and Kid Kash in a 3-way match to retain the Openweight title. June 4, 2011 – PBW: Carmel and Colin McKay defeated Kay Lee Ray and Noam Dar. July 3, 2011 – ICW: Noam Dar defeated Falcon to retain the Zero-G title. July 9, 2011 – PWE: Noam Dar defeated Joey Hayes, Kris Travis and Martin Kirby in a 4-way elimination match. July 30, 2011 – BCW: Noam Dar defeated Andy Wild. August 14, 2011 – ICW: Lionheart defeated Noam Dar to win the Zero-G title. August 26, 2011 – PCW: Noam Dar defeated Sam Bailey in the 1st round. September 10, 2011 – PBW: Stevie Xavier defeated Danny Steel, Falcon and Max Mayhem and Noam Dar in a 5-way match to qualify for the King of Cruisers title. September 17, 2011 – CRW: Fight Club (Kid Fite and Liam Thomson) defeated Davey Blaze and Noam Dar. September 18, 2011 – CRW: Graham Robson, Justin Thorne and Lowthian defeated Fight Club (Kid Fite & Liam Thomson) and Noam Dar in a no disqualification match. September 23, 2011 – PCW: Noam Dar defeated Joey Hayes in the semi-finals. T-Bone defeated Noam Dar to win the tournament and vacant PCW title. September 30, 2011 – BCW: James Scott defeated Noam Dar. October 7, 2011 – GPW: Mikey Whiplash defeated Dylan Roberts, El Ligero and Noam Dar in a 4-way match to become #1 contender for the British title. October 9, 2011 – Future Shock 54: Noam Dar defeated Zack Gibson in the 1st round. October 21, 2011 – PWE: Noam Dar defeated Zack Sabre Jr..
October 22, 2011 – Dragon Gate: Noam Dar defeated Daniel Robert in a dark match. October 23, 2011 – ICW: Noam Dar defeated Lionheart to win the Zero-G title. October 28, 2011 – PCW: Noam Dar defeated El Ligero in a submission match. November 19, 2011 – WrestleZone: Noam Dar defeated Crusher Craib. November 26, 2011 – PBW: Liam Thomson defeated Noam Dar. November 27, 2011 – IPW:UK: Eddie Edwards defeated Noam Dar. December 3, 2011 – PBW: Noam Dar defeated Tim Wylie. December 9, 2011 – BCW: Lionheart defeated Andy Wild, BT Gunn and Noam Dar in a 4-way match to retain the heavyweight title. Andy Wild defeated BT Gunn, Lionheart and Noam Dar in a 4-way TLC match to win the Openweight title. December 17, 2011 – wXw: Noam Dar defeated MK McKinnan. January 22, 2012 – ICW: Noam Dar was in the #1 contenders battle royal for the cruiserweight title won by Red Lightning. January 27, 2012 – PBW: Noam Dar defeated Jamie Feerick. January 28, 2012 – PBW: Blazin’ Rampage (Chris Rampage and Davey Blaze) defeated Noam Dar and Stevie Xavier. February 17, 2012 – BCW: Noam Dar defeated BT Gunn and Red Lightning in a 3-way match to become #1 contender for the Openweight title. February 24, 2012 – PCW: Noam Dar defeated Dean Allmark, Joey Hayes and Zack Sabre Jr. in a 4-way match. February 26, 2012 – IPW:UK: Sami Callihan defeated Noam Dar in the quarter-finals. March 2, 2012 – wXw: Emil Sitoci defeated Jonathan Gresham, Michael Dante and Noam Dar in a 4-way match. March 3, 2012 – wXw: Axeman defeated Noam Dar. March 4, 2012 – wXw: Jon Ryan defeated Noam Dar. March 25, 2012 – PROGRESS Chapter One: El Ligero defeated Noam Dar in the semi-finals. March 30, 2012 – PCW: Noam Dar defeated Dean Allmark. March 31, 2012 – PBW: Sean South defeated Noam Dar to retain the European cruiserweight title. April 1, 2012 – ICW: Noam Dar defeated Andy Wild to retain the Zero-G title. April 15, 2012 – FFPW: Noam Dar defeated Jordan Devlin, Phil Boyd and Sammy D in a 4-way match. Robbie Morrissey defeated Angelnaut, B. Cool, Bad Boy, D. Max, Jordan Devlin, La Pulga, Noam Dar, Ronin Rider, Sammy D, Sean South and Vic Viper in a battle royal to become #1 contender for the AWR No Limits title. April 21, 2012 – PCW: Noam Dar defeated Dave Mastiff. Noam Dar was also in the battle rumble match won by Dave Rayne. April 22, 2012 – SWE: Noam Dar defeated Spud in the semi-finals. Marty Scurll defeated Bubblegum, Ego Dragon, El Ligero, Kris Travis and Noam Dar in a 6-way elimination match to win the tournament and vacant Speed King title. April 27, 2012 – PWE: Noam Dar defeated Mark Haskins. April 28, 2012 – IPW:UK: Kris Travis defeated Leon Britannico, Martin Kirby, Matt Cross, Noam Dar and The Lion Kid in a high stakes ladder match. May 5, 2012 – PBW: Noam Dar defeated Red Lightning. May 6, 2012 – ICW: Joe and Mark Coffey defeated Noam Dar and Andy Wild in the 1st round. May 19, 2012 – WrestleZone: Johnny Lions defeated Noam Dar to retain the Undisputed title. May 25, 2012 – BCW: Lionheart defeated Noam Dar to retain the cruiserweight title. June 1, 2012 – BCW: Lionheart defeated Noam Dar to retain the cruiserweight title. June 2, 2012 – PBW: Noam Dar defeated Scott Maverick. June 3, 2012 – ICW: Noam Dar defeated Andy Wild, Joe Coffey and Mark Coffey in a 4-way match to retain the Zero-G title. June 24, 2012 – PROGRESS Chapter Two: Noam Dar defeated Darrell Allen. June 29, 2012 – PBW: Noam Dar defeated Taylor Bryden. July 1, 2012 – ICW: Andy Wild defeated Christopher and Noam Dar in a 3-way match to win the Zero-G title. July 14, 2012 – PWE: AJ Styles defeated Noam Dar. August 5, 2012 – ICW: Wolfgang defeated Noam Dar. August 17, 2012 – PCW: Noam Dar defeated Bubblegum, Dean Allmark, Joey Hayes, Martin Kirby and Steven Walters in a 6-way match to win the cruiserweight title. August 18, 2012 – SWE: Marty Scurll defeated Noam Dar to retain the Speed King title. August 19, 2012 – SWE: Davey Richards defeated Noam Dar. August 25, 2012 – BWP: Noam Dar defeated Kris Travis and Martin Kirby in a 3-way match. September 8, 2012 – Infinite: Jack Gallagher defeated Noam Dar. September 15, 2012 – PWE: Noam Dar defeated Mikey Whiplash in the 1st round. September 16, 2012 – PWE: Noam Dar defeated El Ligero in the semi-finals. Andy Wild defeated Noam Dar to win the tournament and vacant world heavyweight title. September 21, 2012 – PBW: Andy Wild and Noam Dar defeated The Dunne Bros (Damian Dunne and Pete Dunne). September 28, 2012 – PCW: Kid Fite and Noam Dar (Replacement for Liam Thomson) defeated Mad Man Manson and Sam Bailey to retain the tag team titles. Noam Dar defeated El Ligero and Joey Hayes in a 3-way match to retain the cruiserweight title. September 29, 2012 – BCW: BT Gunn defeated Noam Dar. September 30, 2012 – PROGRESS Chapter Three: Noam Dar defeated Paul Robinson. October 13, 2012 – RevPro: Noam Dar defeated MK McKinnan and The Lion Kid in a 3-way match. October 14, 2012 – RevPro: Jerry Lynn defeated Noam Dar. October 20, 2012 – SWE: Noam Dar defeated Robbie X.
October 21, 2012 – AWW: Jonny Storm defeated Noam Dar. November 3, 2012 – PBW: Noam Dar defeated Bubblegum, Martin Kirby, Scott Maverick, Sean Maxer Brennan and Stevie Xavier in a 6-way match. November 4, 2012 – ICW: Red Lightning defeated Lionheart, Noam Dar and Wolfgang in a 4-way elimination match to retain the heavyweight title. November 9, 2012 – PCW: Noam Dar defeated Kris Travis by count-out. November 16, 2012 – IPW:UK: Noam Dar defeated The Lion Kid. November 17, 2012 – IPW:UK: Jonny Storm defeated Mark Haskins and Noam Dar in a 3-way match. November 25, 2012 – PROGRESS Chapter Four: Noam Dar defeated Jimmy Havoc in a submission match. November 30, 2012 – PBW: Noam Dar defeated Lionhart. December 1, 2012 – IPW:UK: Zack Sabre Jr. defeated Noam Dar in the 1st round. December 2, 2012 – RevPro: Prince Devitt defeated El Ligero, Mark Haskins and Noam Dar in a 4-way elimination match to retain the RevPro British cruiserweight title. December 7, 2012 – BCW: Kid Fite defeated BT Gunn, Noam Dar and Sean Maxer Brennan in a 4-way match. December 8, 2012 – BCW: Noam Dar defeated Stevie Xavier. December 9, 2012 – PCW: John Hennigan defeated Noam Dar. Noam Dar defeated Joey Hayes. January 18, 2013 – PCW: Dave Mastiff defeated Noam Dar. January 25, 2013 – PBW: Noam Dar defeated Switch. January 26, 2013 – PBW: Noam Dar vs. Wolfgang ended in a no contest. January 27, 2013 – ICW: Noam Dar was in the 30 man royal rumble match won by Mikey Whiplash. February 1, 2013 – PCW: Noam Dar defeated Andy Wild in the 1st round. Dave Rayne defeated Noam Dar to win the cruiserweight title. February 2, 2013 – PCW: Noam Dar defeated CJ Banks in the quarter-finals. Noam Dar defeated Brian Kendrick in the semi-finals. Noam Dar defeated Joey Hayes to win the Road to Glory tournament. February 3, 2013 – FPW: Noam Dar defeated Darrell Allen. February 13, 2013 – NBWA: Noam Dar defeated Kay Jutler. February 16, 2013 – PWE: Andy Wild defeated Noam Dar to retain the PWE world heavyweight title. February 17, 2013 – ICW: Noam Dar defeated James Scott. February 22, 2013 – DG:UK: Jimmy Susumu defeated Noam Dar. February 23, 2013 – DG:UK: Masaaki Mochizuki defeated Noam Dar. March 2, 2013 – PBW: Nathan Cruz defeated Noam Dar. March 3, 2013 – PBW: Red Lightning defeated Noam Dar. March 3, 2013 – ICW: Noam Dar defeated Mikey Whiplash. March 9, 2013 – Infinite: Josh Bodom defeated Noam Dar. March 10, 2013 – Future Shock 65: Noam Dar defeated Dave Rayne in the 1st round. Noam Dar defeated Josh Bodom in the semi-finals. Zack Gibson defeated Noam Dar to win the tournament and vacant FSW title. March 17, 2013 – NBWA: Grado, Johnny Searle and Noam Dar defeated Frankie Feliciano & The Heavy Metal Cowboys (Bunker Roberts and Darrell Deuce). March 23, 2013 – BCW: Grado defeated Noam Dar. March 30, 2013 – PBW: Noam Dar defeated Mark Coffey. March 31, 2013 – PROGRESS Chapter Six: Noam Dar defeated Dave Mastiff to become #1 contender for the PROGRESS title. April 7, 2013 – ICW: Wolfgang defeated Grado, Noam Dar and Robbie Solar in a 4-way match to retain the Zero-G title. April 12, 2013 – WrestleZone: Noam Dar defeated Aspen Faith. April 26, 2013 – PCW: Noam Dar defeated Johnny Gargano. Noam Dar was also in the 30 man royal rumble match won by Lionhart. April 27, 2013 – SWE: Noam Dar defeated MK McKinnan. April 28, 2013 – SWE: Robbie X defeated Noam Dar to retain the Speed King title. May 4, 2013 – PBW: Noam Dar defeated El Ligero and Tommy End in a 3-way match. May 5, 2013 – ICW: Noam Dar defeated Robbie Solar. May 11, 2013 – PWE: Noam Dar defeated Liam Thomson and Martin Kirby in a 3-way match. May 12, 2013 – FPW: Joel Masters defeated Noam Dar in the quarter-finals. May 18, 2013 – NGW: Noam Dar defeated Matt Myers. May 19, 2013 – PROGRESS Chapter 7: El Ligero defeated Noam Dar to retain the PROGRESS title. May 25, 2013 – SWE: Jay Lethal defeated Noam Dar in the semi-finals. May 26, 2013 – RevPro: Noam Dar defeated Mark Haskins. May 31, 2013 – PCW: Noam Dar defeated Danny Hope. June 1, 2013 – PCW: PCW champion Doug Williams vs. Noam Dar ended in a time limit draw to retain the title. June 21, 2013 – Kelvin Brawl: Lionheart defeated Noam Dar. October 13, 2013 – ICW: Andy Wild defeated Noam Dar. October 19, 2013 – RevPro: Michael Elgin defeated Noam Dar. October 24, 2013 – Wrestling in Bedford: Noam Dar defeated Martin Kirby. October 25, 2013 – Wrestling in Hove: Stixx defeated Noam Dar. Noam Dar defeated The Lion Kid. October 27, 2013 – RevPro: Marty Scurll defeated Noam Dar. October 31, 2013 – PCW: Doug Williams defeated Noam Dar. November 2, 2013 – PBW: Mark Haskins defeated CJ Banks, El Ligero, Joey Hayes, Kenny Williams and Noam Dar in a 6-way elimination match to win the King of the Cruisers. November 3, 2013 – ICW: Mark Coffey defeated Noam Dar to retain the Zero-G title. November 9, 2013 – NGW: El Ligero defeated Noam Dar. November 10, 2013 – NGW: Kris Travis defeated Noam Dar. November 15, 2013 – PCW: Lionheart defeated Noam Dar to retain the PCW title. November 16, 2013 – PCW: Doug Williams and Lionheart defeated Noam Dar and Uhaa Nation. December 6, 2013 – PCW: Martin Kirby defeated Noam Dar. December 7, 2013 – BCW: James Scott defeated Noam Dar. December 8, 2013 – BCW: Noam Dar defeated Andy Wild, Davey Blaze and Kenny Williams in a 4-way ladder match to win the Openweight title. December 14, 2013 – Futureshock: Jack Gallagher defeated Noam Dar. January 26, 2014 – PROGRESS Chapter 11: Noam Dar defeated El Ligero. February 8, 2014 – RCW: Noam Dar defeated Red Eagle in the semi-finals. La Pulga defeated Noam Dar, Paul London and Paul Tracey in a 4-way match to win the tournament and vacant RCW title. February 9, 2014 – TCW: El Ligero defeated Noam Dar. February 23, 2014 – ICW: Jackie Polo defeated Noam Dar. March 1, 2014 – PCW: Martin Kirby defeated Noam Dar, Rob Bell and Tommaso Ciampa in a 4-way match. March 7, 2014 – PWE: Project Ego (Kris Travis and Martin Kirby) defeated Andy Wild and Noam Dar. April 19, 2014 – BCW: Noam Dar defeated Kris Travis to retain the BCW Openweight title. April 26, 2014 – SWE: Noam Dar defeated Tyler Bate. Pete Dunne defeated Noam Dar in the semi-finals. April 27, 2014 – ICW: Mark Coffey defeated Fergal Devitt and Noam Dar in a 3-way match to win the ICW Zero-G title. May 2, 2014 – PBW: Rampage Brown defeated Noam Dar. May 4, 2014 – ICW: Grado, Noam Dar and Wolfgang defeated Jackie Polo, Rob Cage and Sha Samuels. May 17, 2014 – PWE: Project Ego (Kris Travis and Martin Kirby) defeated Andy Wild and Noam Dar. May 30, 2014 – PCW: Mad Man Manson defeated Noam Dar. May 31, 2014 – PCW: Martin Kirby defeated El Ligero, Mark Andrews and Noam Dar in a 4-way match. June 1, 2014 – ICW: Darkside defeated Noam Dar. June 22, 2014 – TCW: Grado and Noam Dar defeated The Referee in a handicap match. June 27, 2014 – BCW: Grado defeated BCW Openweight champion Noam Dar by disqualification. Noam Dar retains the title. June 28, 2014 – PCW: Martin Kirby defeated Noam Dar. June 29, 2014 – PROGRESS World Cup: Noam Dar defeated Grado in the quarter-finals. Noam Dar defeated Darrell Allen in the semi-finals. Noam Dar defeated Rampage Brown to win the PROGRESS World Cup. July 13, 2014 – ICW: Joe Coffey defeated Noam Dar to take a 1-0 lead in the best of 5 series match. July 29, 2014 – PWE: Noam Dar defeated Andy Wild. July 24, 2014 – PROGRESS Chapter 14: Jimmy Havoc defeated Noam Dar to retain the PROGRESS title. August 1, 2014 – PCW: Noam Dar defeated Dave Rayne. August 3, 2014 – ICW: Darkside defeated Joe Coffey, Kid Fite and Noam Dar in a 4-way elimination match to become #1 contender for the world heavyweight title. August 8, 2014 – PBW: Kid Fite and Noam Dar defeated GTA (Donnie T and Lou King Sharp). August 9, 2014 – PBW: Liam Thomson defeated Noam Dar. August 16, 2014 – TNA British Boot Camp: El Ligero defeated Noam Dar. August 24, 2014 – ICW: Noam Dar defeated Joe Coffey to even things up at 1. August 29, 2014 – BCW: Noam Dar defeated Kenny Williams to retain the Openweight title. August 31, 2014 – ICW: Joe Coffey defeated Noam Dar to take a 2-1 lead. September 6, 2014 – TNA British Boot Camp: Angelina Love, Dave Mastiff, Noam Dar and Rampage Brown defeated Al Snow, Grado, Kay Lee Ray and Mark Andrews. September 14, 2014 – PWE: Noam Dar defeated Christopher Daniels. PWE world champion Grado vs. Noam Dar ended in a no contest to retain the title. September 26, 2014 – PCW: Noam Dar defeated Paul London. September 28, 2014 – PROGRESS Chapter 15: FSU (Eddie Dennis & Mark Andrews), Noam Dar and Will Ospreay defeated Regression (James Davis, Jimmy Havoc, Paul Robinson and Rob Lynch). October 5, 2014 – ICW: Noam Dar defeated Joe Coffey to even things up at 2. October 10, 2014 – ICW: Liam Thomson and Noam Dar defeated Joe Hendry in a 3-way match. October 17, 2014 – RNW: Liam Thomson defeated BT Gunn and Noam Dar in a 3-way match. October 18, 2014 – RNW: BT Gunn and Noam Dar defeated Donnie T and Lou King Sharp. October 24, 2014 – SWA/Zero-1: Noam Dar defeated Liam Thomson. October 31, 2014 – PCW: Noam Dar defeated Charlie Garrett. November 1, 2014 – PBW: James Scott defeated Noam Dar. November 2, 2014 – ICW: Joe Coffey defeated Noam Dar to win the best of 5 series match, 3-2. November 7, 2014 – TCW: El Ligero and Noam Dar defeated The Bucky Boys (Davey Boy and Stevie Boy). November 29, 2014 – PCW/ROH SuperShow Of Honor – Show 2: Adam Cole defeated Noam Dar. PCW/ROH SuperShow Of Honor – Show 3: Cedric Alexander defeated ACH, Bobby Fish, Martin Kirby, Noam Dar and Roderick Strong in a 6-way match. December 10, 2014 – TNA Xplosion: Austin Aries defeated Noam Dar. January 25, 2015 – PROGRESS Chapter 17: Noam Dar defeated Paul Robinson. February 8, 2015 – Climax: Josh Bodom defeated Noam Dar. February 14, 2015 – IPW:UK: Jimmy Havoc & The London Riots (James Davis and Rob Lynch) defeated Danny Duggan, Grado and Noam Dar. February 15, 2015 – ICW: The 55 (Kid Fite, Martin Kirby and Timm Wylie) defeated Grado, Noam Dar and Wolfgang. Kenny Williams defeated Noam Dar to retain the Zero-G title. February 18, 2015 – TNA Xplosion: Kay Lee Ray and Noam Dar defeated Gail Kim and Rampage Brown. February 20, 2015 – BCW: Noam Dar defeated Lou King Sharp. February 22, 2015 – ICW: Joe Hendry, Kenny Williams and Noam Dar defeated The 55 (Kid Fite, Martin Kirby and Timm Wylie). February 27, 2015 – TNA IMPACT: Noam Dar vs. Rampage Brown ended in a no contest. March 4, 2015 – TNA Xplosion: Crazzy Steve, Kay Lee Ray, Mandrews & Noam Dar defeated Dave Mastiff, Madison Rayne, Rampage Brown & Samuel Shaw. March 7, 2015 – PWE: Noam Dar won a #1 contenders battle royal for the PWE world heavyweight title. March 14, 2015 – PCW: Bubblegum, Christopher Daniels, Rampage Brown and Sha Samuels defeated Dave Mastiff, Eugene, Noam Dar and Will Ospreay. Johnny Mundo defeated Noam Dar. March 20, 2015 – BPW: Lou King Sharp defeated Noam Dar. March 21, 2015 – PWE: Noam Dar defeated Red Scorpion. March 22, 2015 – PROGRESS Chapter 18: Jimmy Havoc defeated Dave Mastiff, Marty Scurll, Noam Dar, Paul Robinson and Will Ospreay in a 6-way elimination to retain the PROGRESS title. March 27, 2015 – RNW: Bobby Roberts, Joe E. Legend, Lou King Sharp and Noam Dar defeated Donnie T, Joe Hendry, Krieger and Saqib Ali. April 12, 2015 – ICW: Mikey Whiplash defeated Noam Dar. April 18, 2015 – ICW: Mark Coffey defeated Jack Gallagher, Lionheart and Noam Dar in a 4-way match. April 19, 2015 – ICW: Noam Dar defeated Mark Coffey. April 24, 2015 – PCW: Sha Samuels defeated Noam Dar. April 25, 2015 – PCW: Rob Van Dam defeated Noam Dar. April 25, 2015 – PCW: Dave Mastiff defeated Noam Dar. April 26, 2015 – ICW: Davey Boy vs. Joe Hendry vs. Liam Thomson vs. Noam Dar in a 4-way match to become #1 contender for the world heavyweight title ended in a no contest. May 2, 2015 – PBW: James Scott & TJ Rage defeated Just Uz (BT Gunn and Stevie Xavier), Kenny Williams and Noam Dar & The Coffey Brothers (Joe Coffey and Mark Coffey) in a 4-way tag team elimination match to retain the tag titles. May 3, 2015 – ICW: Kenny Williams vs. Noam Dar ended in a draw. May 9, 2015 – PWE: Liam Thomson defeated Noam Dar. May 16, 2015 – Climax: Martin Kirby defeated El Ligero, Mark Hendry, Noam Dar, Scott Star and William Eaver in a 6-way, handcuff elimination match. May 24, 2015 – PROGRESS Chapter 19: Dave Mastiff defeated Noam Dar in the 1st round. June 5, 2015 – PCW: Noam Dar defeated Bubblegum. June 6, 2015 – PBW: James Scott and TJ Rage defeated Noam Dar and Kenny Williams to retain the tag team titles. June 10, 2015 – PROGRESS: Kenny Williams and Noam Dar defeated Sebastian and Tom Irvin. June 11, 2015 – PROGRESS: Noam Dar defeated Kenny Williams. June 12, 2015 – BCW: Grado and Noam Dar defeated Davey Blaze and Red Lightning. June 13, 2015 – RNW: Davey Blaze defeated Noam Dar, Stevie Xavier and TJ Rage in a 4-way, money in the bank match. July 11, 2015 – PCW: Noam Dar defeated Ryan Smile. July 25, 2015 – ICW: Bram defeated Noam Dar. July 26, 2015 – ICW: Jackie Polo and Mark Coffey vs. Kenny Williams and Noam Dar ended in a no contest to retain the tag titles. July 26, 2015 – PROGRESS Chapter 20: William Eaver defeated Noam Dar. August 2, 2015 – ICW: Martin Kirby defeated Noam Dar. August 7, 2015 – PCW: Noam Dar defeated Drew Galloway. August 8, 2015 – PWE: PWE world champion Grado vs. Noam Dar ended in a no contest to retain the title. August 9, 2015 – ICW: Jack Jester defeated Noam Dar. August 16, 2015 – ICW: Red Lightning defeated Noam Dar. August 28, 2015 – BCW: Noam Dar defeated Doug Williams. September 18, 2015 – BCW: Noam Dar defeated Davey Blaze. September 20, 2015 – IPW:UK: Sha Samuels defeated Kenny Williams, Noam Dar and Paul Robinson in a 4-way, dark match to qualify for the Super 8. September 25, 2015 – PCW: Drew Galloway defeated Noam Dar. September 26, 2015 – PWE: Grado defeated Noam Dar to retain the PWE world heavyweight title. October 2, 2015 – MEW: Liam Lazarus defeated El Ligero, Iain Robinson, Noam Dar and Rampage Brown in a 5-way match. October 9, 2015 – ICW: Jackie Polo and Mark Coffey defeated Noam Dar and Kenny Williams to retain the tag titles. October 11, 2015 – ICW: Noam Dar & The GZRS (Sebastian and Tom) defeated The New Age Kliq (Chris Renfrew and Stevie Boy) in a handicap match. October 24, 2015 – PBW: Kenny Williams defeated Chris Ridgeway, Lou King Sharp, Noam Dar, Saqib Ali and Stevie Xavier in a 6-way match to win the King of the Cruisers. October 28, 2015 – GFW/UK Invasion: Noam Dar defeated Chris Ridgeway. October 30, 2015 – ICW: Liam Thomson defeated Noam Dar. October 31, 2015 – PCW: Noam Dar defeated T-Bone. El Ligero defeated Bubblegum and Noam Dar in a 3-way elimination match to win the PCW cruiserweight title. November 14, 2015 – PBW: Noam Dar defeated Liam Thomson. November 27, 2015 – PCW/ROH Super Show #1: ROH world champion Jay Lethal defeated Noam Dar to retain the title. November 28, 2015 – PCW/ROH Super Show #2: Noam Dar defeated Cedric Alexander. November 28, 2015 – PCW/ROH Super Show #3: Noam Dar defeated Drew Galloway. November 29, 2015 – ICW: Noam Dar defeated Joe Hendry to become #1 contender for the world heavyweight title. November 29, 2015 – PCW/ROH Super Show #4: Noam Dar defeated Lionheart by count-out. December 5, 2015 – BCW: Liam Thomson defeated Joe Coffey and Noam Dar in a 3-way match. December 6, 2015 – ICW: Noam Dar defeated Drew Galloway. December 12, 2015 – PWE: Iestyn Rees defeated Big Damo, Joe Coffey and Noam Dar in a 4-way, money in the bank match. January 10, 2016 – ICW: Chris Renfrew defeated Noam Dar. January 24, 2016 – ICW: Noam Dar was in a #1 contenders battle royal for the world heavyweight title won by Wolfgang. January 31, 2016 – ICW: Wolfgang defeated Noam Dar. February 5, 2016 – PCW: Noam Dar defeated Timothy Thatcher in the 1st round. February 6, 2016 – ICW: Noam Dar defeated El Ligero in the quarter-finals. Drew Galloway defeated Noam Dar in the semi-finals. February 26, 2016 – ICW: Davey Boy defeated BT Gunn, Kenny Williams and Noam Dar in a 4-way match to retain the Zero-G title. February 27, 2016 – ICW: Sha Samuels defeated Noam Dar. February 28, 2016 – ICW: Drew Galloway defeated Noam Dar. March 5, 2016 – PCW/GFW: Jeff Jarrett defeated Noam Dar. March 6, 2016 – ICW: Noam Dar defeated Doug Williams. March 11, 2016 – BCW: Noam Dar defeated Sha Samuels. March 12, 2016 – PWE: Noam Dar won a #1 contenders battle royal for the PWE title. April 15, 2016 – BCW: Lionheart and Noam Dar defeated Davey Blaze and Liam Thomson. April 16, 2016 – PBW: Dave Krycek, Emily Hayden, Lou King Sharp and Saqib Ali defeated Lucy Cole, Noam Dar, Taylor Bellando and Tony Martyns. April 30, 2016 – PCW: Noam Dar defeated Phillip Michaels. May 1, 2016 – RevPro: Noam Dar defeated Josh Bodom to qualify for the WWE Cruiserweight Classic. May 21, 2016 – PCW: Noam Dar defeated Johnny Mundo. May 29, 2016 – ICW: Noam Dar defeated Liam Thomson. June 4, 2016 – PCW: Noam Dar defeated Sha Samuels. June 5, 2016 – RevPro: Noam Dar defeated Sha Samuels. June 11, 2016 – PBW: Lionheart and Noam Dar defeated Krieger and Lou Sharp. June 15, 2016 – WCWC: Rampage defeated Noam Dar. June 16, 2016 – WCWC: Noam Dar defeated Joseph Conners. ROH world champion Jay Lethal defeated Noam Dar to retain the title. June 25, 2016 – PCW: Noam Dar defeated Drew Galloway and Sha Samuels in a 3-way match to win the PCW title. July 1, 2016 – BCW: Grado and Noam Dar defeated Jack Jester and Stevie James. July 2, 2016 – PCW: Lionheart and Sha Samuels defeated Grado and Noam Dar. July 3, 2016 – RevPro: Pete Dunne defeated Noam Dar. July 23, 2016 – PWE: Noam Dar defeated Iestyn Rees to win the PWE world heavyweight title. July 29, 2016 – ICW: Wolfgang defeated Noam Dar. July 30, 2016 – ICW: The Black Label (Bram and Jack Jester) defeated DCT and Noam Dar. July 31, 2016 – ICW: Grado, Noam Dar and Sha Samuels defeated The Black Label (Drew Galloway & Jack Jester) and Wolfgang. August 3, 2016 – WWE Cruiserweight Classic: Noam Dar defeated Gurv Sihra in the 1st round. August 6, 2016 – PCW: Noam Dar defeated Sha Samuels to retain the PCW title. Noam Dar defeated Rampage Brown to retain the PCW title. August 15, 2016 – WCPW: Doug Williams defeated Noam Dar. Noam Dar’s WCPW career was on the line. August 28, 2016 – ICW: Lionheart & The Black Label (Drew Galloway and Jack Jester) defeated Grado, Noam Dar and Sha Samuels. September 3, 2016 – PCW: Noam Dar defeated Lionheart to retain the PCW title. September 7, 2016 – WWE Cruiserweight Classic: Zack Sabre Jr. defeated Noam Dar in the quarter-finals of the cruiserweight tournament. September 11, 2016 – ICW: Andy Wild defeated Noam Dar. September 14, 2016 – WWE Cruiserweigth Classic: Johnny Gargano and Tommaso Ciampa defeated Cedric Alexander and Noam Dar. September 21, 2016 – NXT: Jack Gallagher defeated Noam Dar in a dark match. September 24, 2016 – PCW: Iestyn Rees defeated Noam Dar and Sha Samuels in a 3-way match to win the PCW title. September 24, 2016 – PWE: Grado, Lionheart and Noam Dar defeated The 55 (Kid Fite & Sha Samuels) and Iestyn Rees. September 28, 2016 – NXT Live Event: Noam Dar defeated Ho Ho Lun. November 7, 2016 – Monday Night RAW: Rich Swann and Sin Cara defeated Brian Kendrick and Noam Dar. November 21, 2016 – RAW: Rich Swann defeated Noam Dar and TJ Perkins in a 3-way match to become #1 contender for the cruiserweight title. November 28, 2016 – RAW: Rich Swann defeated Noam Dar. December 2, 2016 – NXT Live Event: Jack Gallagher defeated Noam Dar. December 3, 2016 – NXT Live Event: Noam Dar defeated Jack Gallagher. December 6, 2016 – 205 Live: Noam Dar defeated Cedric Alexander. December 8, 2016 – NXT Live Event: Gran Metalik defeated Noam Dar. December 16, 2016 – NXT Live Event: Jack Gallagher defeated Noam Dar. December 19, 2016 – RAW: Cedric Alexander defeated Noam Dar. January 3, 2017 – 205 Live: Mustafa Ali defeated Noam Dar. January 10, 2017 – 205 Live: Noam Dar defeated Cedric Alexander. January 12-13, 2017 – NXT Live Event: Gran Metalik defeated Noam Dar. January 23, 2017 – RAW: WWE cruiserweight champion Rich Swann defeated Noam Dar in a non-title match. February 6, 2017 – RAW: Cedric Alexander, Jack Gallagher and TJ Perkins defeated Neville, Noam Dar and Tony Nese. February 7, 2017 – 205 Live: Jack Gallagher defeated Cedric Alexander, Mustafa Ali, Noam Dar and TJ Perkins in a 5-way elimination match to become #1 contender for the cruiserweight title. February 21, 2017 – 205 Live: Noam Dar defeated Mustafa Ali. February 24, 2017 – Main Event: Cedric Alexander and TJ Perkins defeated Noam Dar and Tony Nese. February 27, 2017 – RAW: Akira Tozawa defeated Noam Dar. March 3, 2017 – NXT Live Event: Rich Swann defeated Noam Dar. March 7, 2017 – 205 Live: Jack Gallagher and Rich Swann defeated Ariya Daivari and Noam Dar. March 10, 2017 – Main Event: Jack Gallagher and Mustafa Ali defeated Noam Dar and Tony Nese. March 14, 2017 – 205 Live: Ariya Daivari and Noam Dar defeated Jack Gallagher and Rich Swann. April 20, 2017 – NXT Live Event: Rich Swann defeated Noam Dar. April 25, 2017 – 205 Live: Akira Tozawa and Rich Swann defeated Noam Dar and The Brian Kendrick. May 1, 2017 – RAW: Akira Tozawa, Gentleman Jack Gallagher and Rich Swann defeated Noam Dar, The Brian Kendrick and Tony Nese. May 2, 2017 – 205 Live: Noam Dar defeated Rich Swann. May 12, 2017 – Main Event: Noam Dar defeated Gran Metalik. June 6, 2017 – 205 Live: Cedric Alexander defeated Noam Dar. June 12, 2017 – RAW: Cedric Alexander defeated Noam Dar. July 3, 2017 – RAW: Cedric Alexander defeated Noam Dar w Alicia Fox. July 10, 2017 – RAW: Akira Tozawa and Cedric Alexander defeated Neville and Noam Dar w Alicia Fox. July 11, 2017 – 205 Live: Cedric Alexander defeated Noam Dar w Alicia Fox. Noam Dar also dumped Alicia Fox. July 29, 2017 – ICW: Noam Dar and Sha Samuels defeated Bram and Joe Coffey. August 8, 2017 – 205 Live: Noam Dar defeated Mark Thomas. August 29, 2017 – RAW: Cedric Alexander, Enzo Amore and Gran Metalik defeated Drew Gulak, Noam Dar and Tony Nese. September 4, 2017 – 205 Live: Cedric Alexander, Enzo Amore and Gran Metalik defeated Drew Gulak, Noam Dar and Tony Nese. September 19, 2017 – 205 Live: Akira Tozawa defeated Noam Dar. October 24, 2017 – 205 Live: Cedric Alexander and Rich Swann defeated Noam Dar and Tony Nese. November 21, 2017 – 205 Live: Cedric Alexander and Rich Swann defeated Ariya Daivari and Noam Dar. November 27, 2017 – RAW: Rich Swann defeated Akira Tozawa, Ariya Daivari and Noam Dar in a 4-way match where the winner will be facing each other in a 1-1 match to become #1 contender for the cruiserweight title. November 28, 2017 – 205 Live: Rich Swann defeated Noam Dar w Enzo Amore. December 5, 2017 – 205 Live: Cedric Alexander defeated Noam Dar. Dar underwent successful surgery to his left knee on 14 December to repair a tear in his meniscus and will miss a unknown amount of time. June 26, 2018 – WWE United Kingdom Championship Tournament 2018 (Taped): Noam Dar defeated Mark Andrews, Morgan Webster and Travis Banks in a 4-way match to become #1 contender for the WWE United Kingdom title. July 3, 2018 – 205 Live: Noam Dar defeated TJP. July 17, 2018 – 205 Live: TJP defeated Noam Dar. 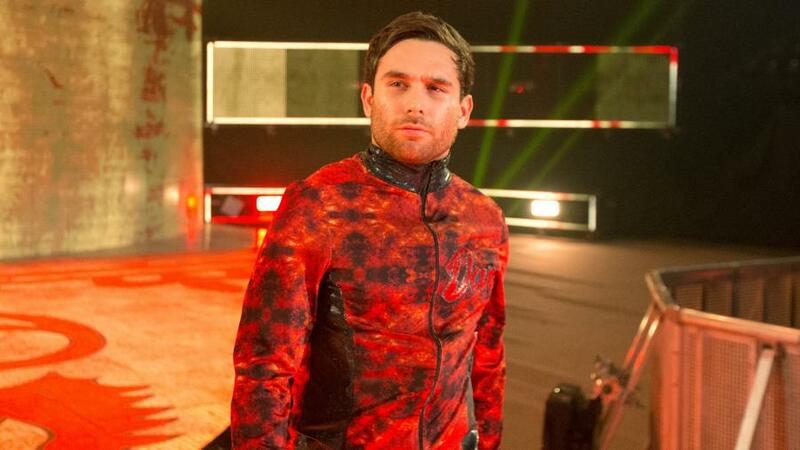 August 7, 2018 – 205 Live: Noam Dar defeated Sean Maluta. August 21, 2018 – 205 Live: Noam Dar defeated TJP. September 4, 2018 – 205 Live: Noam Dar defeated Bryan Kelly. October 17, 2018 – NXT UK (Taped): Pete Dunne defeated Noam Dar to retain the WWE United Kingdom title. October 31, 2018 – NXT UK (Taped): Zack Gibson defeated Noam Dar. November 21, 2018 – 205 Live: Tony Nese defeated Noam Dar. December 2, 2018 – ICW: BT Gunn, Noam Dar and Wolfgang defeated British Strong Style (Pete Dunne, Trent Seven and Tyler Bate). December 19, 2018 – 205 Live: Hideo Itami defeated Noam Dar. January 9, 2019 – 205 Live: Noam Dar defeated Tony Nese. February 12, 2019 – 205 Live: Tony Nese defeated Noam Dar in a no disqualification match. February 13, 2019 – NXT UK (Taped): Noam Dar defeated Jordan Devlin. @emilyyjayye @FinnBalor @AlexaBliss_WWE @YaOnlyLivvOnce @NoamDar Did you ask permission? Am I the only one that still hears @NoamDar’s pronunciation when anyone mentions @AliciaFoxy? 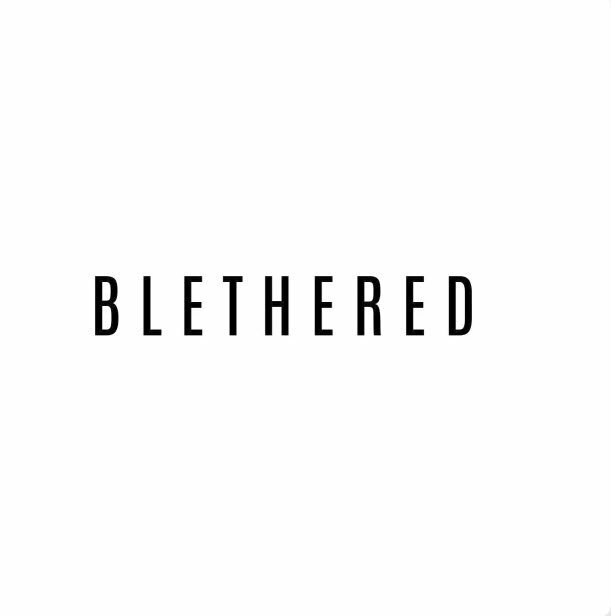 🎙Episode 15 of Blethered with @NoamDar is available now! We talk about early days with @InsaneChampWres, being signed to the @WWE and trips to New York with @gradowrestling plus loads more!